Should your hall become unique? For those who are not only looking for a functional but also an aesthetically coated surface, HARO PROTECT Pro Celenio is the right choice.Celenio combines the assets of wood with the visual appearance of stone – fascinating elegance from the outside and tough on the inside.The steel subconstruction also ensures optimal fire safety. 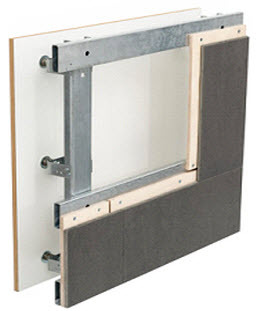 With four surfaces and covered bolts the protective wall is well worth to put on an appearance.